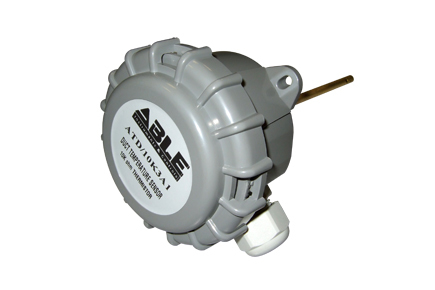 ABLE’s ATI Immersion range of temperature sensors are designed for monitoring the temperature of liquids in pipes. The unit contains a high quality thermistor which is compatible with a range of manufacturers’ BMS controllers. Other thermistor / sensor types are available on request. The ATI sensing element is housed in a 150mm brass probe and connected to an IP65 enclosure for direct mounting in to a brass thermowell (optional).